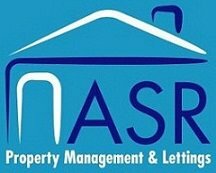 ASR Property Services Ltd is located just outside of Walsall Town Centre on a prominent bus route. We are a proud family run business with members of staff who are highly dedicated. We have considerable experience in the property letting sector and extensive local knowledge which is greatly beneficial to both landlords and tenants. Another major factor to the business running successfully is our infrastructure. As the business has grown, we intend to continue offering a high level of service both pre-tenancy and post-tenancy to both Landlords and Tenants. We are committed to providing our clients, services that exceeds expectations.